Good morning! I have a project using Whimsy's new Mini Chalkboards 1 sentiment stamps. It's a great stamp collection to get as it has a sentiment for every occassion. It's a different one for me as it has no image or Copics involved. I think it's a nice change. So much so that I think I'll have to make a whole set with this stamp collection!!! I used Coffee Archival Ink to stamp and Frayed Burlap to distress the papers edges. The gorgeous paper is Maja papers- I love how they are such high quality card-stock and so elegant and versatile! I dyed some seam binding with Weathered Wood and Broken China and added a flower from Prima's Princess Collection. 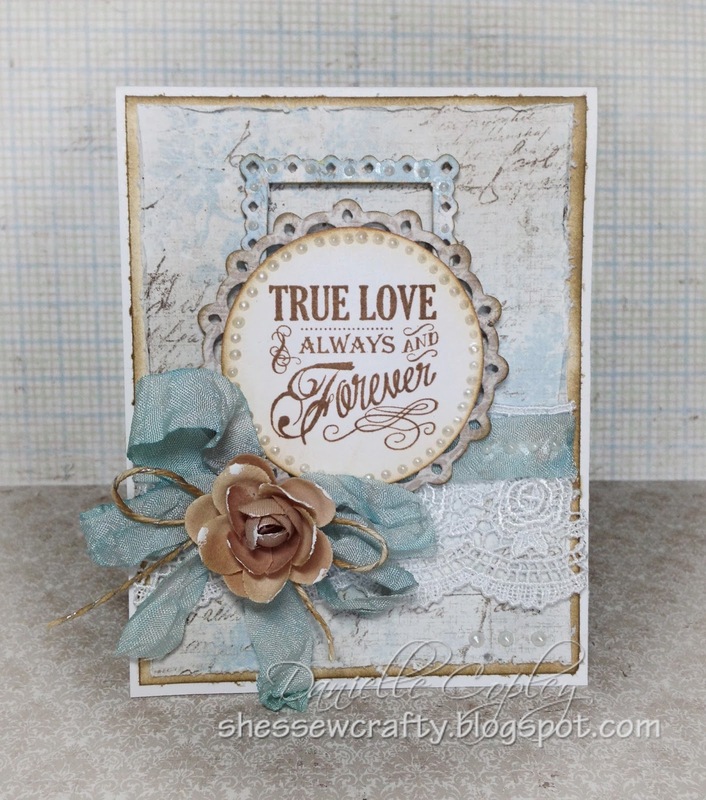 I love the design of this card and it was inspired by Andrea Ewen, one of the talented ladies on the Maja Blog. This is beautiful Daniele. I love the sentiment and the papers are gorgeous. Stunning card. Thanks, Sharon! Enjoy your as well! This is just gorgeous! I love the vintage styling and colours! Beautiful - so elegant and I love the vintage style.